The European Union together with the Bill and Melinda Gates Foundation pledged on Tuesday (12 December) more than €500 million over the next three years for research and innovation in agriculture. Both sides consider that more science and innovation is required to address some of the most pressing challenges posed by climate change. This joint initiative will build on the outcomes of the Paris Agreement and the recent COP23 held in Bonn on the role of agriculture in the climate change agenda. 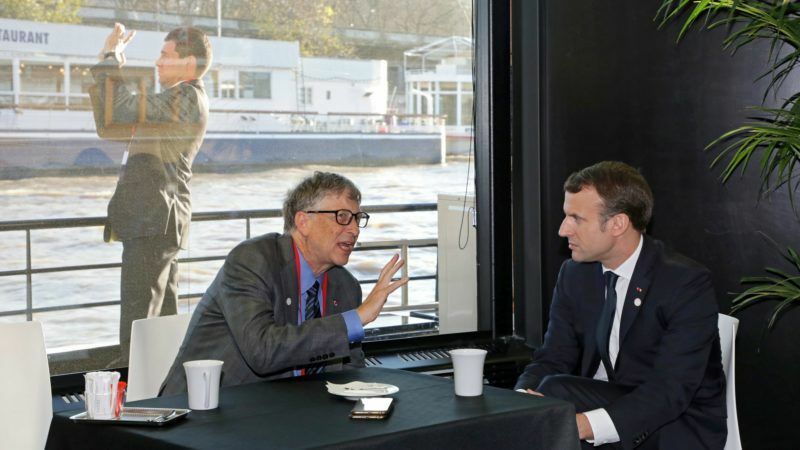 Among other philanthropists, Bill Gates is one of the stars at the One Planet Summit hosted by French President Emmanuel Macron on the two-year anniversary of the Paris climate accord, which saw nearly 200 governments agree to end their heavy reliance on fossil fuels and limit further global warming. Innovations in agriculture may imply the use of GMOs. Bill Gates is known for his support for genetic engineering. In an interview with the Wall Street Journal last year, he said that GMOs for Africa are going to make a huge difference, particularly because of climate change. EU Commissioner for International Cooperation and Development Neven Mimica said that the impact of climate change was especially important for less developed countries, where extreme weather events can cause dramatic yield reductions and even famine. “We therefore need to support increased research and innovation to confront this challenge and to improve better farming and crop production systems. We need to mobilise both public and private funds to finance this research and I am delighted at the prospect of working with the Bill and Melinda Gates Foundation on this urgent challenge”, said Mimica, according to the partnership was an excellent example of co-operation towards the implementation of the Paris Agreement. The generation of scientific knowledge and applied innovations will encompass agronomy for primary production, technology for all steps of processing, general organisation along the value chains, and focus on major activities to increase job creation and food security and nutrition. They also aim at enhancing research architecture and developing the national and regional research capacities conducive to innovation. This effort will also increase knowledge and evidence needed for policies and investment decisions. The initiative will aim at stronger coordination of strategies and promotion of joint and coordinated actions. It will particularly be based on collaborative activities between member states and all interested partners in order to pool financial resources and human expertise through innovative mechanisms leveraging an increased response. Technical work will continue between the Commission, the Bill and Melinda Gates Foundation, France, Germany, Italy, Spain, and other interested EU member states and partners, in order to identify priorities and develop long-term plans.